During an internal town hall event earlier this week, Microsoft CEO Steve Ballmer and COO Kevin Turner spoke to employees about the recent $900 million writedown the company took for the Surface RT, reports The Verge. "We built a few more devices than we could sell," said Ballmer, in reference to slow Surface RT sales. Ballmer also went on to say that the company isn’t happy with its Windows sales, either. "We're not selling as many Windows devices as we want to." Microsoft has been heavily marketing the Surface RT as an iPad competitor in a series of negative advertisements that highlight the Surface RT’s multitasking capabilities, its accessories, and its low price. Earlier this month, Microsoft was forced to drop the price of its Surface RT tablets by $150, making the base price for the 32 GB tablet just $349, or $449 with a Touch Cover included. Despite the slow sales of the Surface RT, Microsoft is pushing ahead with plans for a second generation tablet. Steve Ballmer needs to just step down. So basically, Microsoft is saying they built more than one Surface? I think the best thing for Apple (and Google) is if Ballmer stays as CEO of Microsoft. People can see thru the negative advertisement and can see what iOS devices can do better than Androids. Stop all this BS advertisement and spend your resources in making a better product!! 1) Ditch Windows RT. Immediately. Before more people buy it at a fire sale and expect things for it. 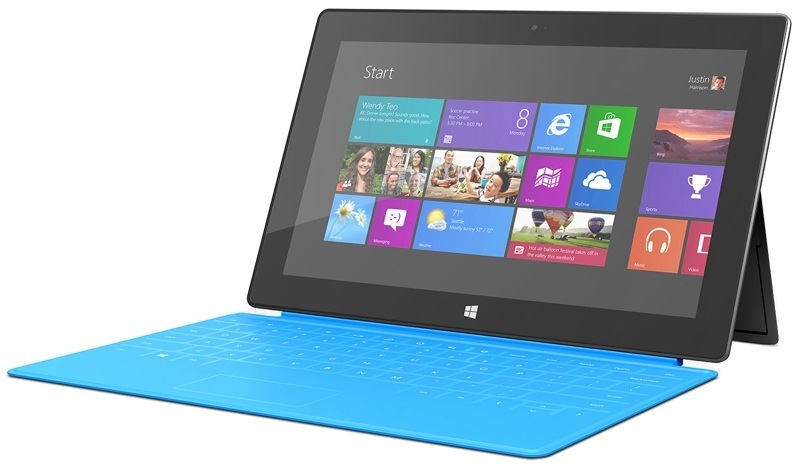 2) Get Haswell-powered Windows 8 tablets out ASAP, at the iPad's price MAX. Doubling the price isn't going to sell them. 3) Remove Metro from desktop Windows. Or at least give the option of a FULL Windows Desktop or Metro (not this silly start button that goes to Metro in 8.1). Either way it's on the same core, who cares what the GUI looks like? I think that is an indication about how bad is the public awareness of the surface has now. Sounds like a pretty upbeat and enthusiastic town hall meeting.